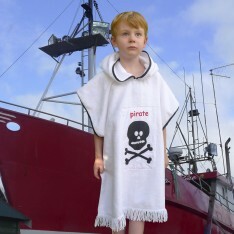 Our Hooded Microfibre Towelling Ponchos are designed, made and hand printed in Australia. 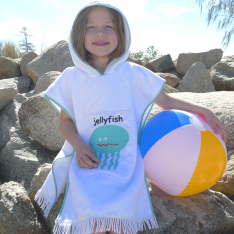 Offering premium quality and comfort, this new fabric is soft, super absorbent, light to wear and fast drying, making these poncho’s ideal to throw on after swimming lessons. 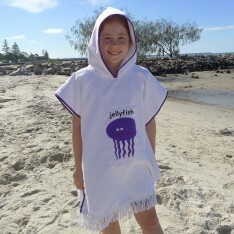 Each poncho is finished off with 100% cotton bullion fringing and durable stainless steel side press studs. Available in 3 generous sizes. SKU: BPMF01DH4. 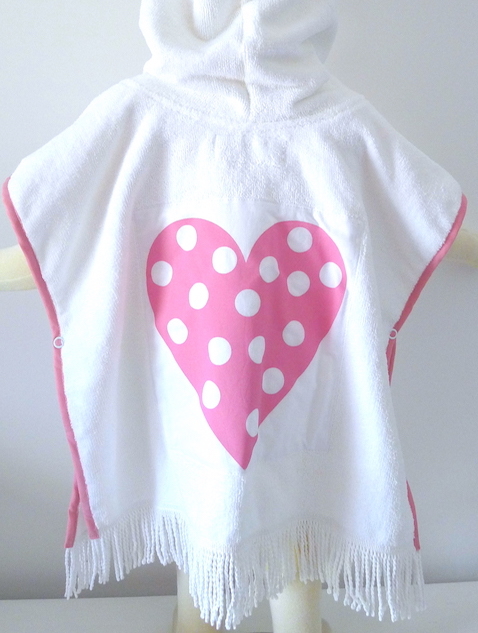 Categories: ALL PRODUCTS, MICROFIBRE TOWELLING PONCHOS. 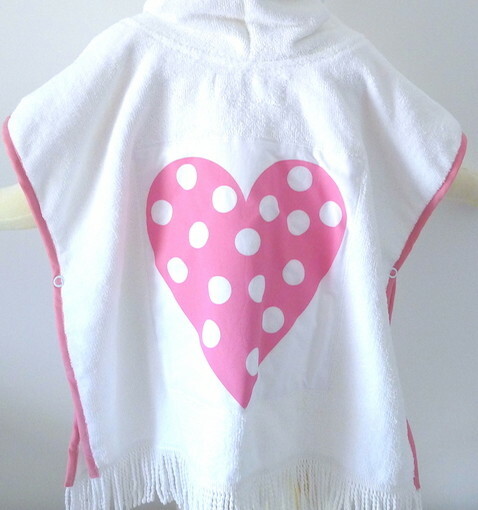 Tag: Hooded Towels. Note: The total finished size is from Shoulder to Hem, including a 75mm Cotton Bullion fringing.